1.Kennebunkport, Maine. 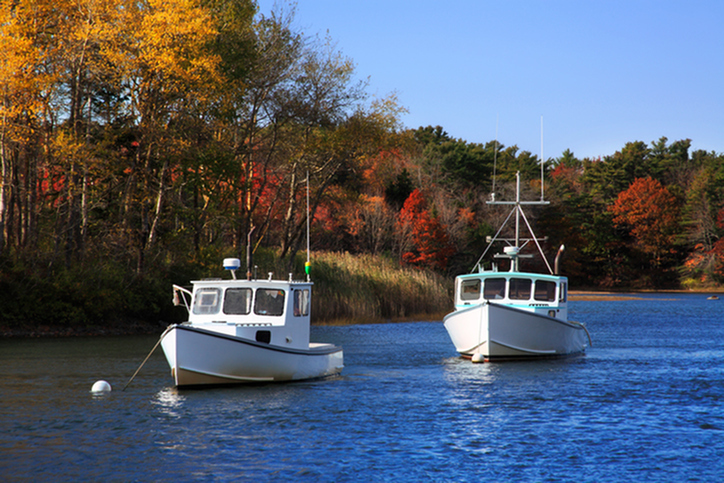 Located 3 hours from Rocky Hill, Kennebunkport is one of the most popular towns to visit in Maine. Located right on the Maine Coast, Kennebunkport is a perfect place to explore with friends or family. Featuring authentic lobster tours, river kayaking, and wonderful boutique shopping, Kennebunkport has something for anyone! It is recommended to visit in the late summer or early fall for great weather and the beautiful New England fall leaves. 2.Boston, Massachusetts. Prefer visiting a big city instead of a small New England town? Look no further than the big city of Boston located less than two hours away from Rocky Hill. Home to championship sports teams and rich American history, Boston is a great option for a weekend trip. It is also home to some of the top universities in the world which has a brought in a vibrant restaurant and bar scene catering to the younger crowd. 3. Finger Lakes, Vermont. If your idea of a weekend trip is getting outside to enjoy the great American outdoors, the Finger Lakes National Forest is one of the best places in the country. Located two and half hours away, the Finger Lakes National Forest sits on almost 17,000 acres and boasts tons of different walking and hiking trails. Public campsites are available through the National Forest office and can hosts both tents and RV’s. We recommend visiting during the late spring through early fall for the best outdoor temperatures.